If you are a dynamic speaker and want an opportunity to present your program to communications professionals from across the country, we want to hear from you! The Association for Women in Communications (AWC) is now accepting applications for speakers for our 2019 Professional Development Conference. The conference will be held in St. Charles, Missouri, September 29-October 1, 2019. 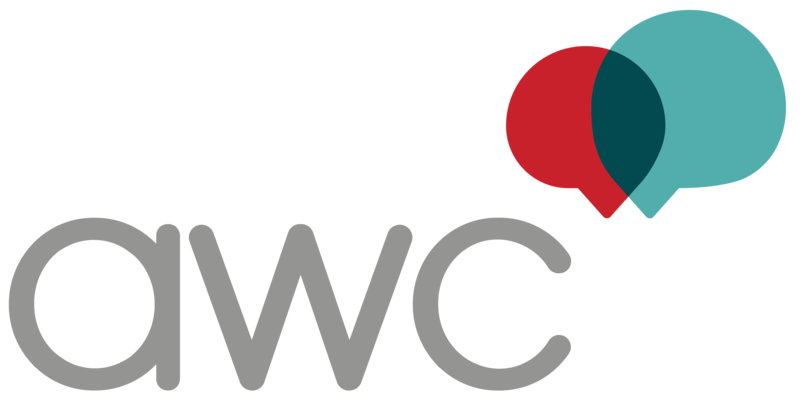 Celebrating its 110th anniversary, AWC is the oldest communications organization in the country. Our broad membership consists of journalists, broadcasters, independent writers and producers, public relations practitioners, graphic artists, marketing and advertising professionals from students to senior executives. Speaker applications will be accepted until Monday, April 15, 2019. Speakers will be notified of their acceptance by Friday, June 14, 2019. Please fill out the online form found here, indicating your interest in being a presenter with a synopsis of your program and why it will be of interest to our members. Provide links to previous presentations or your website. What is AWC looking for in a program? With our diverse membership, AWC tries to offer a wide range of topics: latest trends in communication, practical skills such as social media and utilizing digital trends, career advancement techniques such as honing your negotiating skills or expanding your skill set, more broad topics such as leadership and ethics, and even tips on taking your place in the executive suite, to name just a few. Program sessions will be from one hour to 45 minutes in length including question and answer period. Sessions should be engaging and dynamic and attendees should walk away with clear knowledge points. What does AWC offer speakers? AWC will reimburse speakers for their travel to and from the conference, coach class airfare or mileage. AWC will provide one night’s lodging at the conference hotel: Embassy Suites St. Charles. Speakers may sell books or materials at the conference. Speakers are responsible for all taxes related to those sales, but we will assist with sales as needed and if staffing is available. Speakers may attend conference sessions to have a better understanding of our membership and attendees. AWC will promote the programs in advance in national and local media and through our general conference promotion. Have questions? Contact Kristin Van Nort at 2019conference@womcom.org.